Tuesday: 10 in-depth two-hour session choices, where you get to pick the two sessions that are right for you. Tuesday night: Follow up the sessions with an evening soiree with the fantastic speakers, other lovely attendees, and our awesome sponsors. Wednesday night: After all that learning, kick back and enjoy the Happy Hour with all your comrades. The Happy Hour is usually a good time, so be prepared for the pluralization of "Hour". 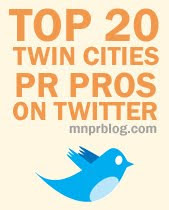 Keep checking mimasummit.org for breakout speaker announcements or on @mimatweet. They'll be coming fast and furious.